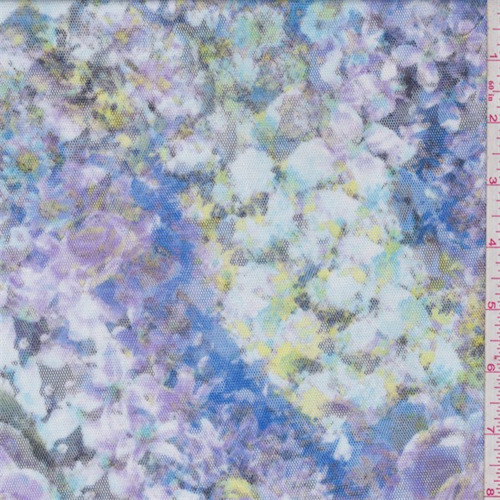 Very lightweight polyester mesh with a blue floral print is stitched on a white poly knit. Textured with a dry hand/feel. Slight widthwise stretch. Machine washable.